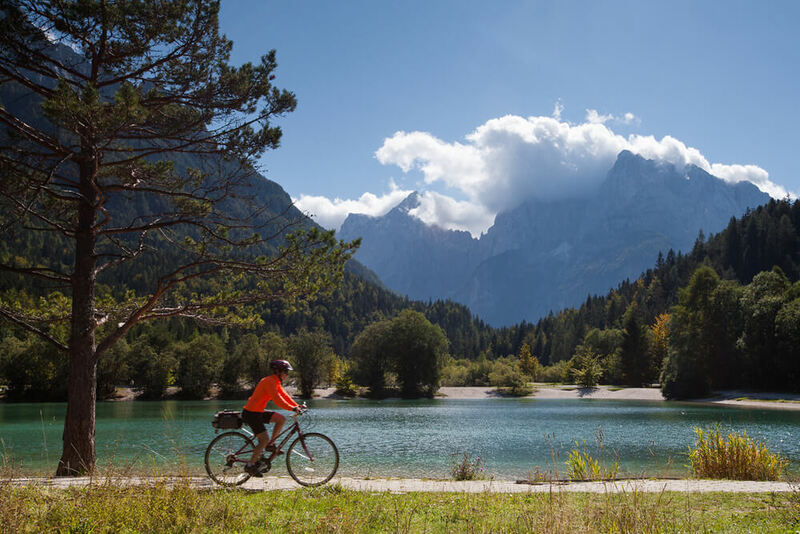 This self-guided cycling day tour, suitable for families as well, is one of the most beautiful cycling tours through the Julian Alps. 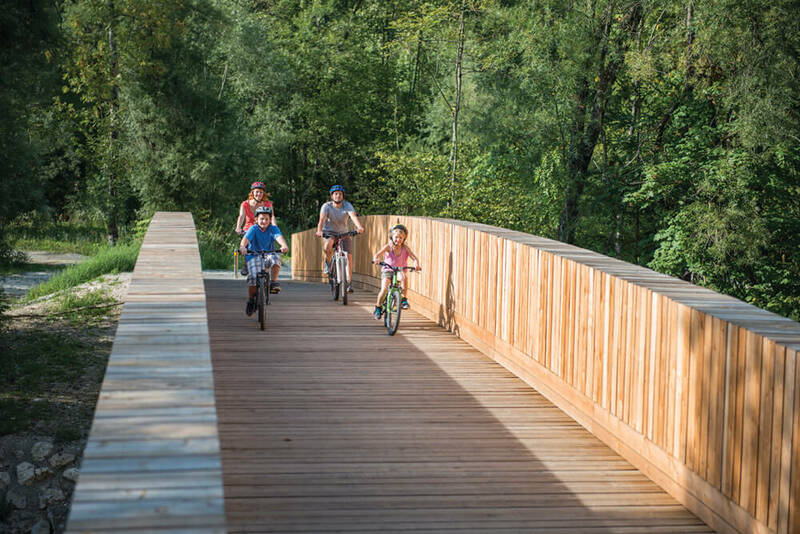 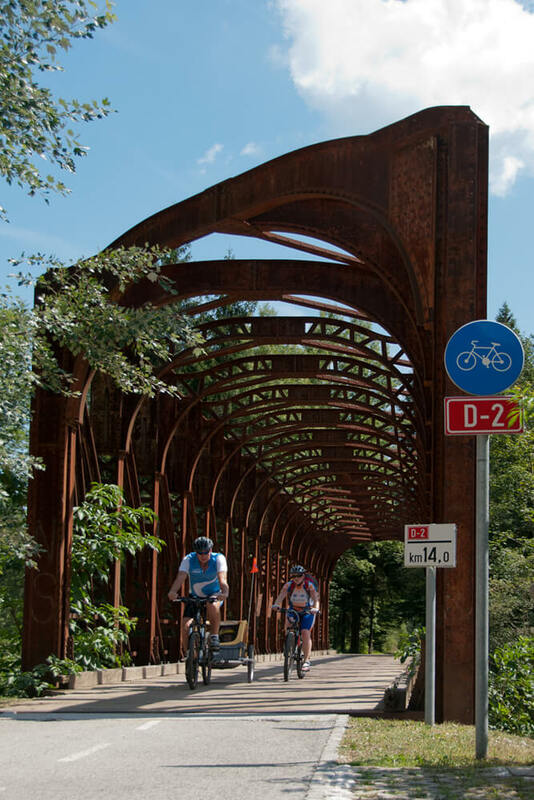 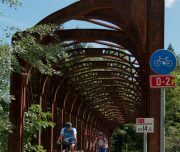 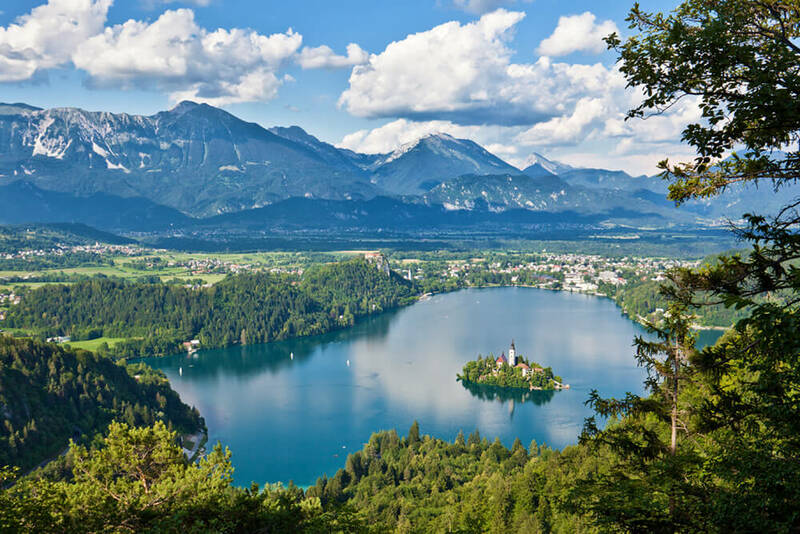 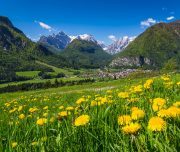 Cycling from Kranjska Gora to Bled, you can enjoy the beauty of pure and intact nature, idyllic villages, the magnificent natural landscape and rich cultural heritage. 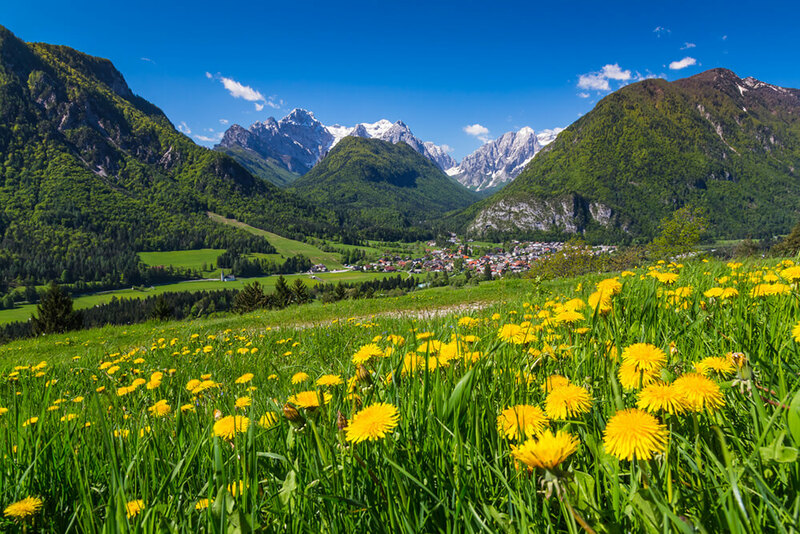 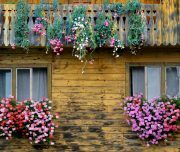 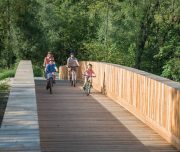 Following the stream of Sava river, you will visit some amazing natural spots in the Slovenian Alps, beautiful especially in the spring, when daffodils are in full bloom all the way to Bled with Bled Island, a unique symbol of Slovenia (also suitable for cycling in the opposite direction). 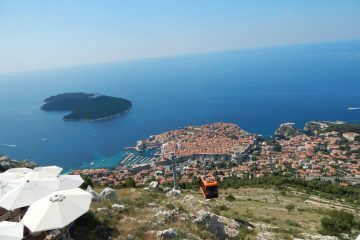 DEPARTURE TIME Every day at 9:00 a.m. except Saturdays, from April 15 to October 15 2019. 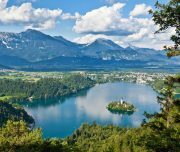 Transfer from Bled to Kranjska gora. 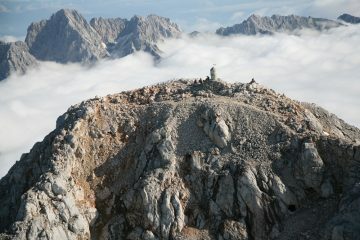 Duration 40 min. 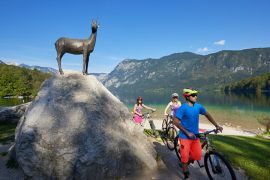 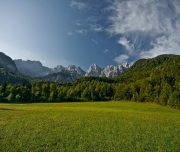 Cycling from Kranjska Gora to Zelenci, the emerald green natural reserve. 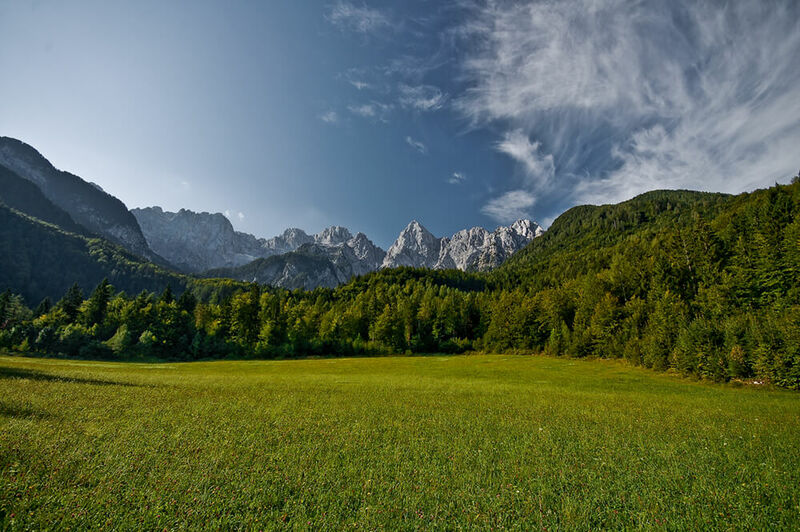 We continue our journey back towards Kranjska gora. 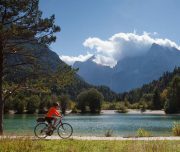 If you want to make a short detour, you can cycle to Lake Jasna (additional 1 km in one direction). 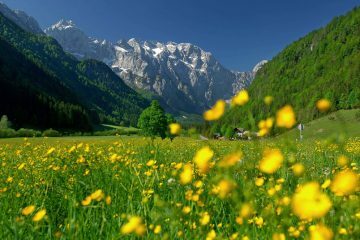 Next stop could be in Gozd Martuljek, where you can visit Martuljek waterfalls. 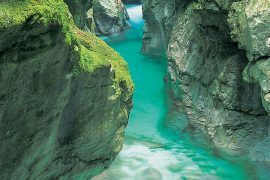 The Lover Martuljek waterfall can be found by taking a 15 minute walk from the cycling path. 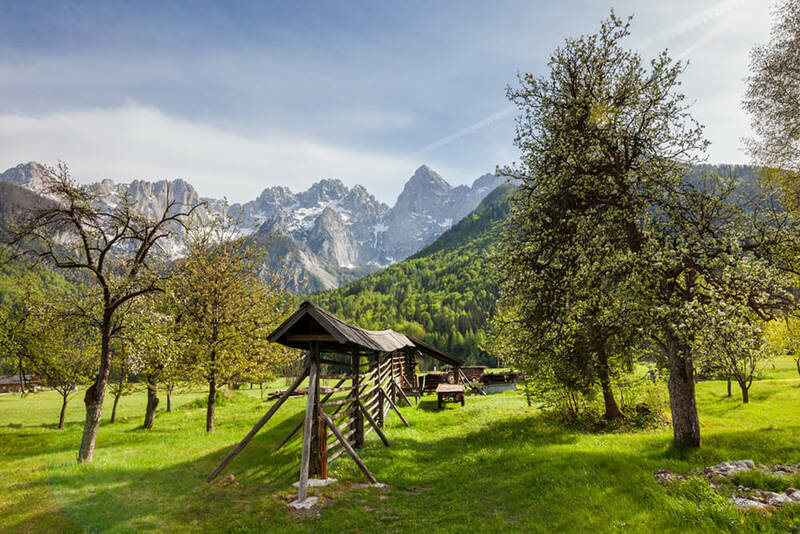 You continue along the cycling route to the village of Mojstrana, where you can visit the Alpine Museum and the Peričnik waterfall (additional 6 km in one direction), one of the most beautiful waterfalls in Slovenia. 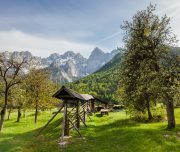 From Mojstrana you continue along the cycling route to Jesenice. 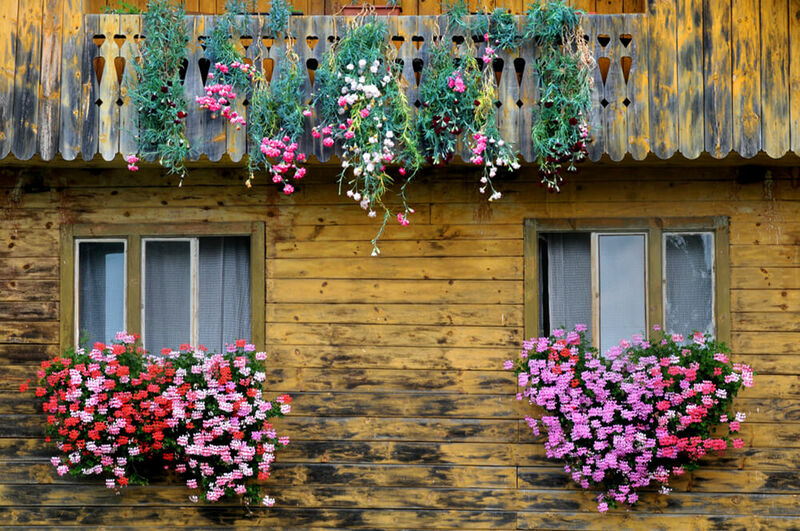 Here there are two options. 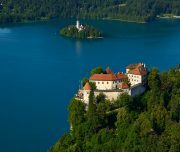 You can continue cycling to Bled or you can go to Bled by train. 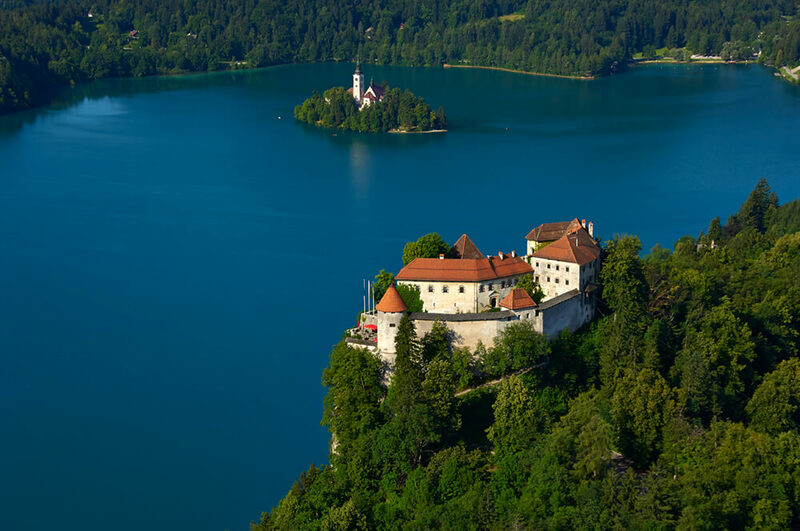 Cycling around breath taking Lake Bled is also recomended.